Fabric cover: 850 gsm PVC coated polyster fabric. 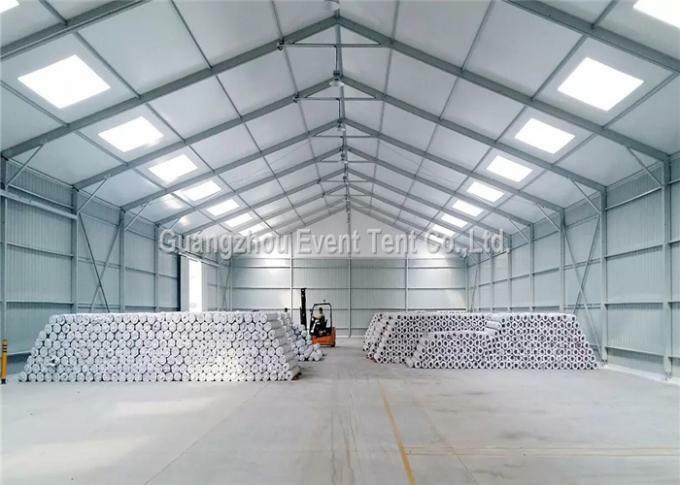 1. sports : after make enough ventilation holes and windows on the tent , the large outdoor warehouse tent can be used as gymnasium . the space is big and no posts inside , can make use of 100 % space . Many persons do sports inside the tent , must make sure the air circulation , make sure enough fresh air inside . 2. 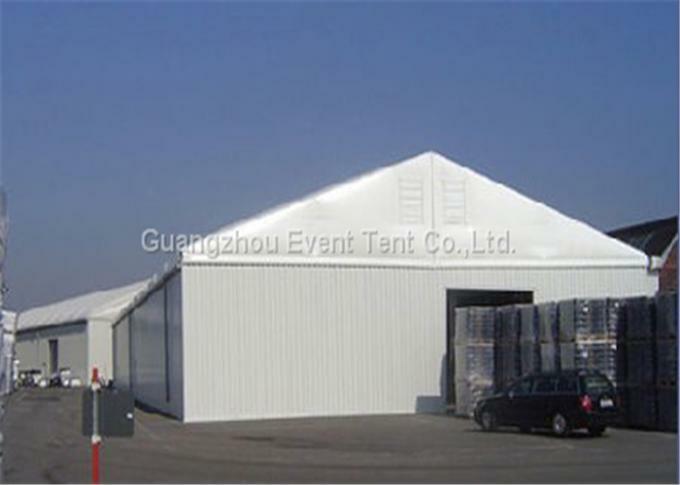 Wedding party : we can design the large outdoor warehouse tent into many style according to the wedding party theme . 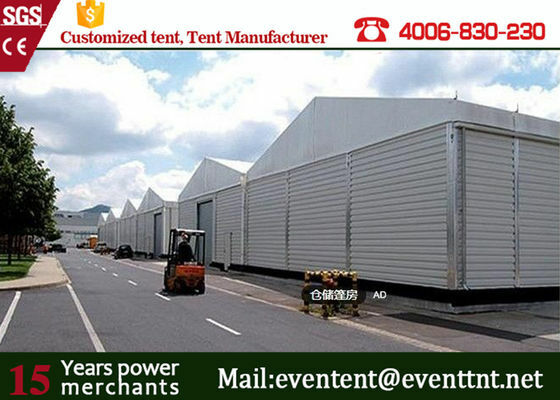 To make the large outdoor warehouse tent suite the different style wedding , different types of party and make the party full of happy atmosphere . 5. Other Optional Items: draping, table, chair, lighting, A/C, carpet, installation tools etc.